2. Soldier Technical - Class 12 (Science) with Physics, Chemistry, Maths and English with 50% marks in aggregate and 40% marks in each subject. 3. Soldier Technical (Aviation & Ammunition Examiner) - Same as Soldier Technical OR Three years Diploma in Engg (Mechanical/ Electrical/ Automobiles/ Computer Science/ Electronics & Instrumentation) from a recognized Polytechnic Institute/ ITI. 5. 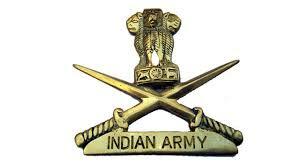 Soldier Clerk / Store Keeper Technical - 10+2/ Intermediate Examination Pass in any stream (Arts, Commerce or Science). Should have secured 50% marks in each subject and 60% marks in aggregate in Class 12th . Should have studied English and Maths/Accounts/Book Keeping in Class 12th or Class 10th and should have secured min 50% marks in each of these subjects, whether studied in Class 12th or Class 10th . 2. Only those candidates having VALID ADMIT CARD will be allowed in the Rally.